After a crazy work week and busy weekend I finally have some time to share an easy, no-hassle crock pot chicken recipe I made last weekend while I was home at my parents. After taking full advantage of the grill for my lemon basil chicken, I wanted to try out some fresh produce from my parent’s garden! 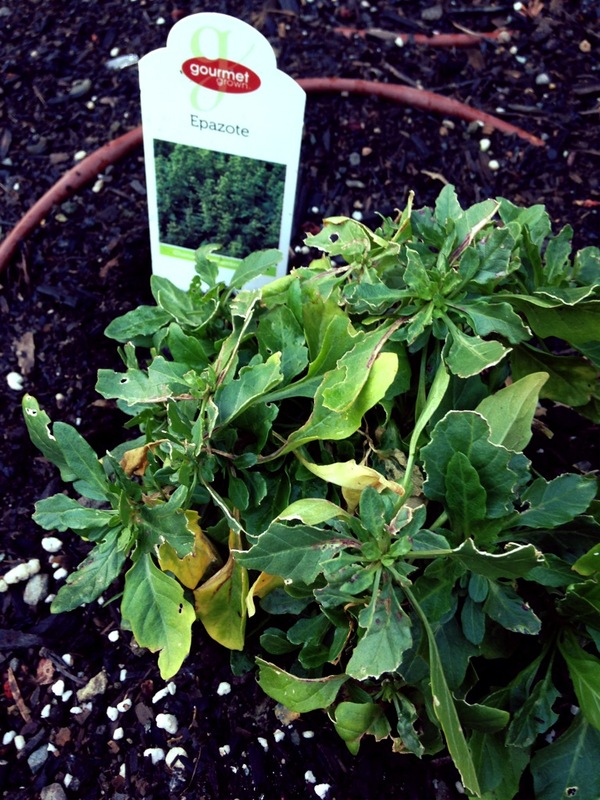 My mom suggested I try out an herb called epazote which is commonly used in Mexican cooking. 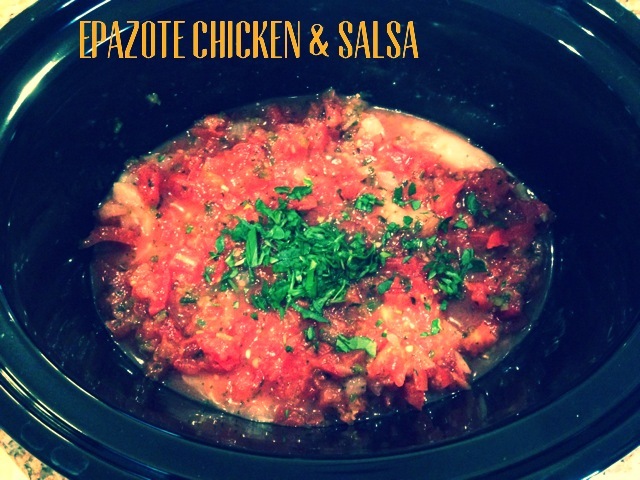 Epazote has a mild tangy flavor which inspired my crock pot recipe: Epazote Chicken & Salsa. It is the easiest recipe in the world and so tasty!